Surprise the birthday boy or girl with the unique indoor skydive experience! Whoever is celebrating his or her birthday will be surprised! Imagine how nice is will be to give an indoor skydive as a gift? In the indoor skydive Roosendaal wind tunnel you will undergo the unique free fall experience without jumping out of an airplane. 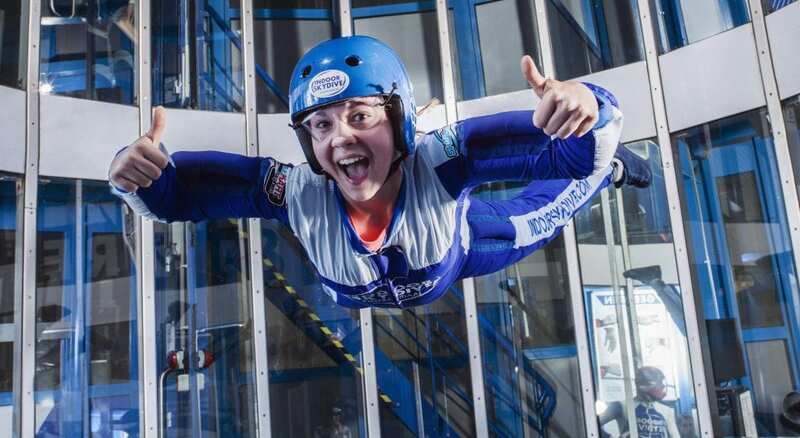 Indoor skydiving gives a huge adrenaline boost and is an unforgettable experience. The most original gift you can imagine. Ordering a gift voucher has never been so easy. You can order your gift voucher immediately online. Then you will receive the indoor skydive tickets directly in your home. Choose at least 5 indoor skydive sessions. After 5 sessions, you only really experience how nice the indoor skydiving is. The more indoor skydive sessions you book, the more fun it becomes! Check out the indoor skydive prices. Give an unique birthday present! Order an unique birthday present!